Emerging design technologies have a place for all manufacturers. You can find access the full report here. Smart Industry: What did you find more surprising in this report? Michael: Emerging and rapidly advancing manufacturing and design technologies have a place for all manufacturers, from small operations to large industry. The excuse that new technologies are too expensive or too difficult to adopt can be overcome by asking two questions within your organization: Where can data connectivity provide a greater benefit within my organization? (break down silos of data between departments, improve collaboration, collect new insights into operational effectiveness, predict machine maintenance needs, support workers, and more) What job roles and skill sets are needed to implement and support these new technology opportunities? (over 165 job roles were identified in this body of work and mapped to technical domains that can help manufacturers determine what skills will be needed to successfully adopt and leverage modern and emerging digital manufacturing and design technologies). Smart Industry: What is the actionable insight that you're most excited about? What's the coolest part? Michael: Manufacturers have the opportunity to consider both the incremental adoption of new technologies and the broader transformations that can take place as they build up data connectivity and capabilities across their operations and supply chain. Developing a good understanding, not just of individual “digital” technologies, but of how they can connect and interact. This range of understanding gives manufacturers the chance to solve problems at existing pain points or productivity problem areas with point solutions or pilot projects while setting themselves up to start broader transformation efforts. For the workforce, many of the “traditional” skills and wisdom gained from years on the factory floor or in the design/engineering/business offices can provide a solid foundation for new skill sets that support DM&D technologies. Just as technologies have followed a natural progression in their development, discussed in the segment on technical generations, workers are able to enhance their capabilities with modern digital technologies, whether it be through identification of new data sources and what they can tell us to new interactions that improve worker performance and interactions that identify problems far earlier in the production or product lifecycle. Our incumbent workforce is a great asset for any companies’ technology growth, upskilling and career transitions that leverage prior experience can be incredibly impactful. Smart Industry: "65% of the jobs that Generation Z (born in 1996 and after) will work at have not yet been invented." How does this affect education? Staffing? Business strategy? Michael: Even if the jobs will be considered “new,” they will still leverage skills that are needed today as a foundation of background knowledge and represent a progression of technology in that particular job area.Technology continues to develop and scale at ever-increasing rates; one thing is certain...in the future our background knowledge and skill sets will be supporting focused, digital skill sets that will continue to evolve and advance. Continuous learning and keeping up-to-date on new technologies will be critical for future workers. 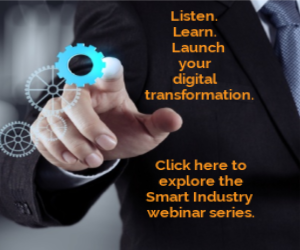 Smart Industry: Describe what you mean by the "digital change delta"? Michael: It is meant to establish a threshold of how much digital disruption may be taking place within a role. Job roles that are “touched” by digital elements but not significantly transformed or enhanced were not deeply discussed in this body of work. An example is a factory worker who has transitioned to working with digital work instructions (versus paper work instructions) has learned a few new skills but nothing requiring more than a day or so of training to effectively engage with a new digital tool. Since this change in their daily work is minor we chose not to highlight this as a new role. However, this factory worker certainly has the chance to apply their prior work experience and undergo training to learn new skills that do take on a greater impact to their daily activities. This can include becoming a collaborative-robotics specialist or predictive-maintenance-systems specialist, on top of their existing role in the manufacturing space. Smart Industry: Who will lead the DM&D roles? Michael: In the report we identified those who lead by introducing new technologies as “pioneers” and those who support others in their execution around specific DM&D technologies and business practices as “keystones.” There will be no single role that leads DM&D technology adoption and utilization. Rather it will be a mix of new technologies and business practices introduced in ways that transform or enhance how a manufacturing enterprise functions. One of the key things to remember about the transformations taking place is that anyone, from technician level to C-suite, can develop new skills and capabilities that build on their past experiences and knowledge in order to help their organization leverage new digital tools. Some characteristics of an employee that will succeed and lead change in this space include the ability to bring in an understanding of new technologies and the capability to lead their application, someone with strong foundations and a desire to learn and apply new technologies. Smart Industry: What does developing this taxonomy enable UI Labs/the Digital Manufacturing and Design Innovation Institute (DMDII)/manufacturing in general do better? Michael: This taxonomy gives DMDII and the manufacturing industry the chance to better understand where emerging technologies are taking our organizations, and the background skills, interactions and responsibilities of the workforce that will help us succeed in leveraging them. We’re touring UI Labs/DMDII during the 2018 Smart Industry Conference. Join us! Click here to learn more.